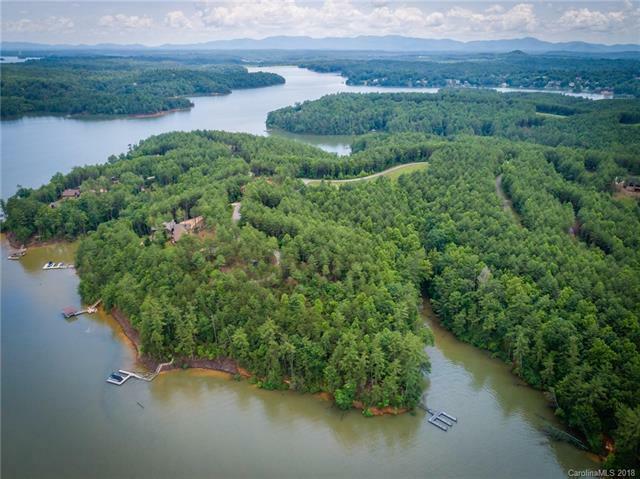 Awe inspiring views of the mountains, lake and sunsets from this 1.58 acre point lot in Old Wildlife Club. Two slip dock already in place. City water available, septic needed. Perced for 4 BR home. Underground utilities available. 15 minutes to Marion, shops, breweries and restaurants. Membership to Camp Lake James included and offers pool, tennis, fitness center, expedition activity center and canteen for snacks and drinks.